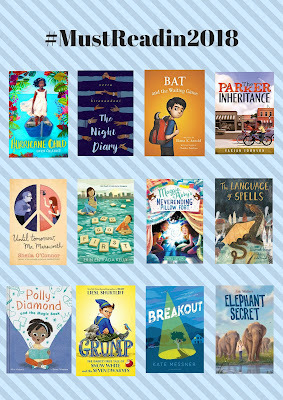 Last year, I joined Carrie Gelson of There is a Book for That and a community of other bloggers to make a must-read list for the year. Again this year, I am joining in the literary fun! I've made a list of books to be published in 2018 that are on my radar and sound like interesting reads. I also plan to read some professional books. 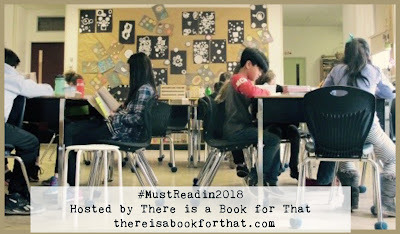 Visit There is a Book for That or check out #MustReadin2018 to find out what others will be reading this year. Ruth Ayres' book is wonderful, Lisa. It makes me think about my teaching all over again. I'm looking forward to Breakout and Grump, two I'm sure I'll enjoy. Thanks for all the other titles, too. I didn't focus on those coming, so am glad to know about them. I've put them on another list! Happy Reading, and thanks! I have heard only great things about Ruth's book! I need to be better about reading some professional books. I'm hoping this summer to get to a few. I haven't done as much the last two years with living in FL, this summer we're home so I should have more time! 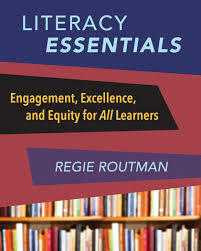 I usually read a few professional books in the summer, but want to try and get more in during the school year. Your professional books have me already starting a list of books to pick up, when I want to veer from my list. :) Because I veer. I added all of them to a 2018 list when I'm browsing. Also, I forgot about Bat and the Waiting Game! I bet this ends up in my stack sometime this year as well. Thanks for sharing! Bat is a wonderful character. I'm really looking forward the the second book. It looks like we are going to be reading some similar titles this year. Was so excited to hear about Grump being published this year! Happy Reading! I haven't read any of the others in the series so I'm looking forward to Grump. I was excited to snag an ARC of Grump at NCTE but still haven't read it yet. 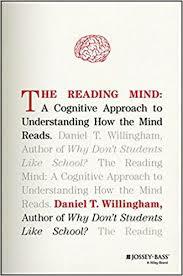 I'm trying to stay committed to professional development reading in 2018 too and The Reading Mind looks so interesting. Also, a new Regie Routman book--always cause to celebrate. I got an ARC there, too! Grump and Breakout are two on your list that I want to make time for in 2018. And of course, I highly recommend Enticing Writers! Happy Reading! I can't wait to read Enticing Writers. I'm just trying to finish up What Do I Teach Readers Tomorrow. Some of these are on my long list of books to read. I really have to get busy winnowing it down! You are going to LOVE Polly Diamond! She is one of my new favorites along with Ellie Engineer. I can't wait for the new Bat book either :) And I'm also looking forward to many of the books on your list. 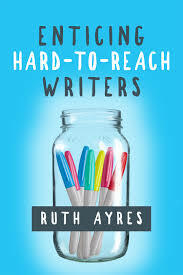 That Ruth Ayres book sounds incredible. Adding it to my TBR.